We specialize in the design, Certification, and Fabrication of a wide range of High-Quality pressure vessels ranging in Pressures from Full Vacuum to high pressure Off standard vessels. Can design pressure vessel and fabricate to your requirements. We also offer pressure vessel inspections as well as pressure vessel testing. 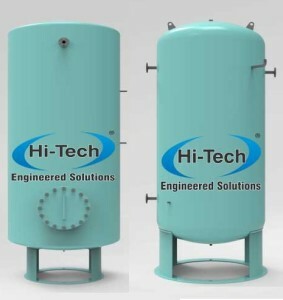 Contact Hi-Tech today for all your pressure vessel needs.